October 1st, I will be presenting at Developer Conference 2011 Organized by Microsoft User Group Hyderabad . This is a full day event and you can attend this event for free in person at Microsoft Campus, Building 3, Gachibowli, Hyderabad. Overall there are 9 different session across different Developer Track. Check the Dev Con Web Site for more information. I’ll be presenting together with Jebarson Jebamony . In this session we are bringing the most current innovative technologies of Microsoft to talk to each other via every developer’s favorite .net. 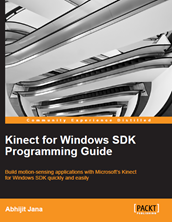 We will showcase how the smart Kinect can interact with the beautiful Windows Phone through the muscular windows azure. You will also get the opportunity to experience how it feels to program for Kinect, windows azure and windows phone.Yeah you guessed right, we are going to program the applications for you right in front of you. We are also looking into the possibilities of running the demo in your own windows phone during the session.